RarmaRadio Pro 2.71.1 Multilingual Portable | Free eBooks Download - EBOOKEE! Posted on 2016-11-01, updated at 2016-11-08, by manhneovn. RaimaRadio allows you to listen to and record radio stations from around the world. While listening to your favorite radio station you can record it anytime you want. Browse through the radio stations or just select a random station and enjoy Internet radio! You have total control over your radio stations allowing you to add or delete a station anytime you want. Need to play a station from another applicaton then just enable global hotkeys and control it anytime. 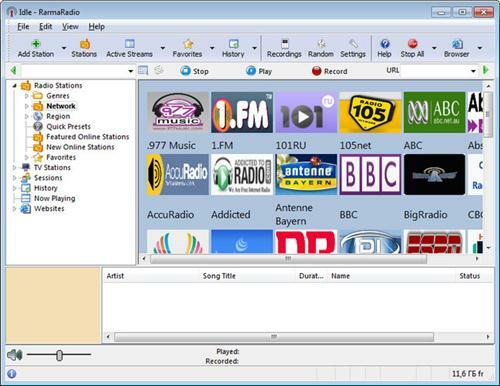 With RarmaRadio you can receive and record thousands of radio stations available on the Internet . No comments for "RarmaRadio Pro 2.71.1 Multilingual Portable".